Toyota Kirloskar Motor (TKM) today announced the launch of the All New Innova and the Fortuner 4X4 Automatic. The launch announcement coincides with the commemoration of the successful journey of the company’s flagship brand ‘Innova’, celebrating 10 years in India. The Innova boasts of a unique distinction of being the only MPV in India to have won the J. D. Power Asia Pacific Initial Quality Study Award (IQS) & J.D. Power Asia Pacific, Automotive Performance, Execution and Layout Award (APEAL) consecutively since 2007. Speaking on the occasion of the launch Mr. N Raja, Director & Senior Vice President (Sales & Marketing), Toyota Kirloskar Motor Pvt. Ltd. said; “The Innova and the Fortuner are two very successful products and both these vehicles are trend setters in the Indian automobile industry. Now with the Innova turning 10, it is indeed a proud moment for all of us at Toyota to have witnessed a successful journey for the past decade. We thank our loyal customers for their support and trust in our brands that has helped us reach this milestone. Alongside the launch of these two new products, we are very pleased to announce that Toyota Kirloskar Motor is the first manufacturer in the mass segment to have standardized front SRS airbags across all our models and in all grades. Safety has always been of utmost importance to us and this has been further reiterated by our efforts to standardize airbags in all our models”, he added. Both the new Innova and Fortuner will be available in two new colors- Bronze Mica metallic and Silver Metallic apart from the existing colors available. Suspension made for Indian roads. Unmatched warranty of 3 year or 1 lakh kms. Express maintenance facility at our dealership. Transmission oil that does not need replacement for the life of the vehicle. The all new Innova is available in the price range of Rs. 10,51,451 and Rs. 15,80,930, Ex-showroom Delhi (post increased excise duty). 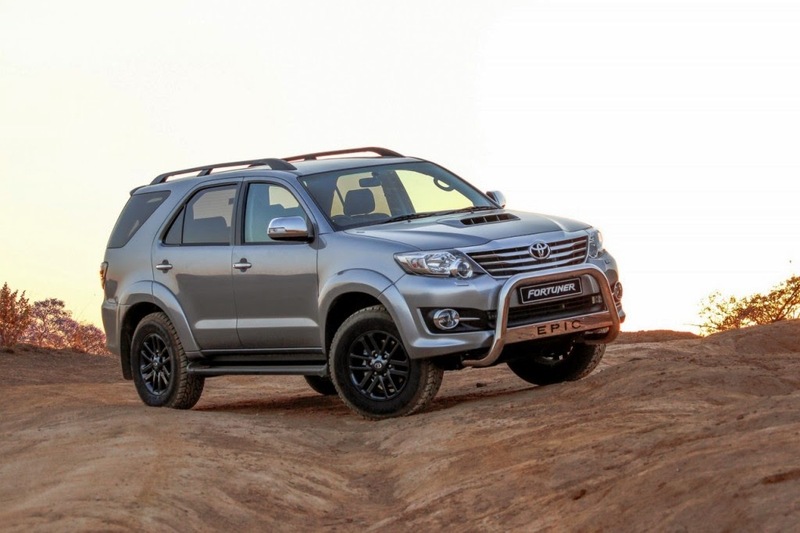 The all new Fortuner is available in the price range of Rs. 24,17,200 and Rs. 26,49,429, Ex-showroom Delhi (post increased excise duty).